The above words represent just a few of the Six-Word Memoirs written by the students in my memoir class for seniors. Not high school seniors, but senior citizens. I’ve been teaching this class at the Marlene Meyerson JCC in Manhattan for six years, and I’ve had students ranging in ages from 62 to 102. 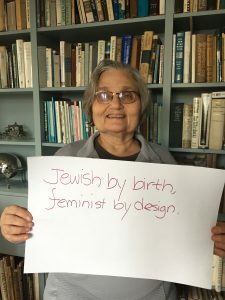 Jewish by birth, feminist by design. My students have a lifetime of experience to write about, and I am privileged to hear their work. 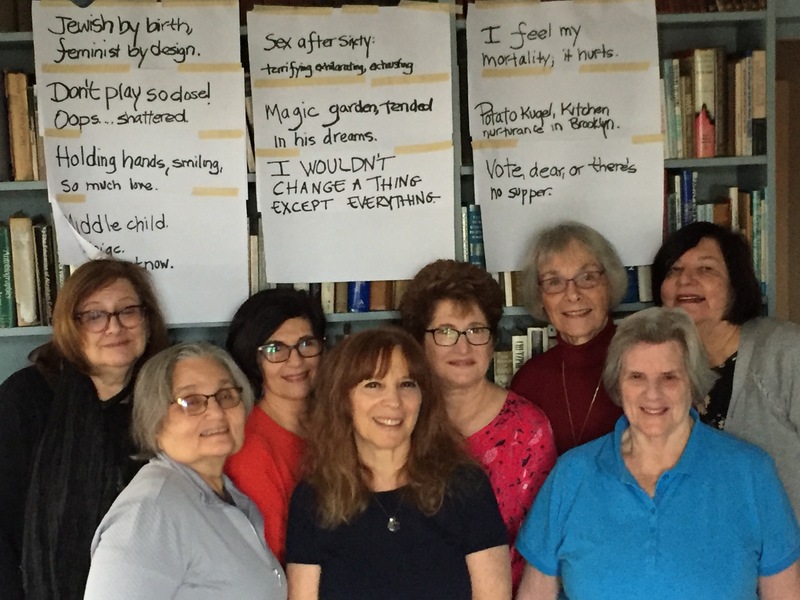 Over the years, they have written about where they’re from, their bodies, dancing, their children, grandchildren, surviving the Holocaust, taking chances, first kisses, food, grief, their parents, and so much more. In each class I give out writing prompts and after they’ve written for about fifteen minutes, they read their work out loud. My favorite prompt? You guessed it: the Six-Word Memoir. I talk about the legend that someone challenged Ernest Hemingway to write a story in six words. He wrote “For sale: baby shoes, never worn.” Then, I add how Larry Smith gave the six-word novel a twist: to write about your own life. 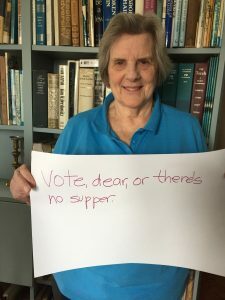 Vote, dear, or there’s no supper. Sometimes when we begin it’s a struggle for my students to come up with just six words to describe themselves. I tell them that it isn’t as easy as it looks, and that the six words don’t need to sum up your entire life. Write whatever comes into your head, I suggest; and if it’s more than six words, you can edit it down. If the six words aren’t good, try again. It’s okay to fail. Keep writing. 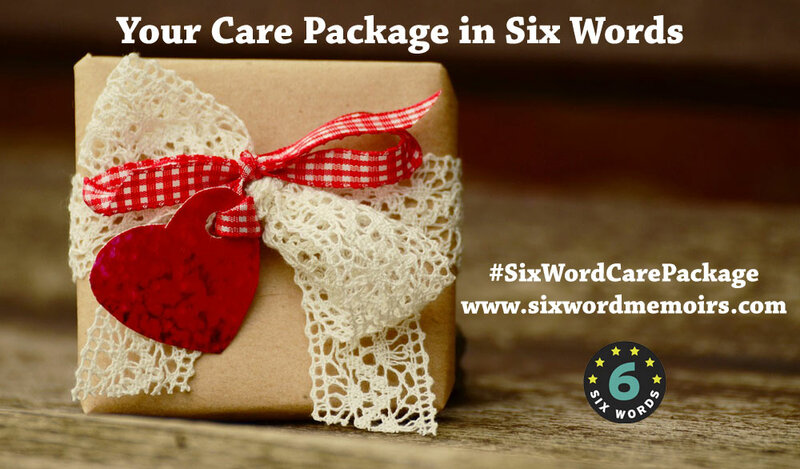 Write as many Six-Word Memoirs as you can and, even if you keep failing, eventually you’ll write at least one beautiful Six-Word Memoir. They always do. When the memoirs are shared aloud, I am always amazed. Some stories are poignant, others are funny; some are a moment in time, or an outlook on life. I encourage the class to give the memoirs as gifts—put one in a box, tie it up with a ribbon, and give it away. 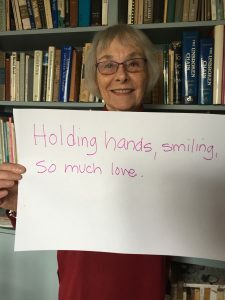 Holding hands, smiling, so much love. I believe that writing is magical, and each time I do this exercise, the Six-Word Memoirs reveal that magic.